A trip of a lifetime awaits you in Europe – as one of the best adventures any aspiring traveller can experience, the European continent has such a lot to offer! So, don’t let Brexit put you off and get your backpack at the ready! For many people, taking a gap year is the best way to fully immerse themselves in the traveller lifestyle. And why not? You’d return home with so many stories to tell, so many photographs to show off, so many memories to cherish. The cost of travelling, however, is definitely something to think about. But with a bit of crafty spending, clever budgeting, and careful saving, you can make it work. Plus, with our paid market research studies, you can always make yourself a bit of extra cash to spend on your travels. To help you decide where to go, we’ve picked our favourite cities for backpacking on a budget and reveal our top tips for saving that extra little bit of cash so that you can really make the most of your time away. First up on our list is Barcelona – a must-see city for those who want to experience its cool architecture, great nightlife, and tasty food! People who’ve visited Barcelona rarely speak ill of this vibrant city, especially when visited on those warm summer days. In a city that doesn’t sleep, it’s unlikely that you’ll want to, either! From 24-hour beach parties to open-all-hour bars, Barcelona is young at heart, despite being surrounded by numerous historic buildings and cathedrals. Set aside enough time to soak up every corner of this amazing city – each neighbourhood is unique to the last, but the most popular are Las Ramblas and La Ribera. Don’t just visit these areas, though; make sure you visit as many as you can! You’re going to want to get thrifty in this city; it’s known for its high prices! However, as long as you plan ahead, Barcelona doesn’t have to eat into your travel budget as much as you think it might. The average daily budget will be around £45-£55. However, some only spend around £20-£25 if staying at a cheaper hostel! So, entirely affordable, depending on the time of year you visit. Park Güell is a public park with gardens and architectonic elements. Designed by Gaudi, it’s amazing to see, and definitely worth a visit. However, stick to the free parts of the park if you want to save some money – especially when you have so much more on your list to see. The Sagrada Familia is probably the most iconic landmark of Barcelona, with its phenomenal architecture and stunning design! But if you don’t have 26 euros to spare for an entrance ticket – no matter! The real spectacle is the outside of the building, so you can still say you’ve visited, just without the price tag! There are some hidden gems in Berlin, and it really is one to put on your travel checklist! Although perhaps not the most aesthetically pleasing on the surface, the vibe of the city is definitely one to experience. 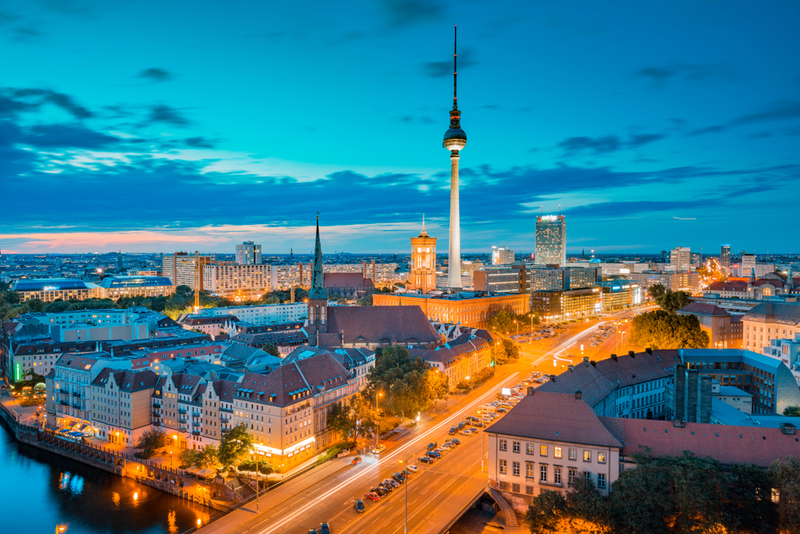 Berlin is among the best European cities to visit in summer, where you can get the very best weather – which of course comes hand-in-hand with a great atmosphere! The city makes a great stop-off if you’re interrailing across Europe, and there are a range of affordable hostels to stay at. The East Seven Hostel is highly recommended, as is Circus Hostel and St. Christopher’s Berlin (if you’re looking for a party!). To stay on budget, it’s worth sticking to the cheaper bars and restaurants, which can be tricky when the city has so many expensive options. Alternatively, you could choose to stay in a hostel that has a kitchen where you’re able to cook your own meals! Getting around Berlin is pretty easy using their rail links. However, to get somewhere quick and, conveniently, Uber is a great option. The price is locked, meaning that you can’t get ripped off, plus it’s often cheaper than travelling by taxi anyway. Checkpoint Charlie – The setting of many thrillers and spy novels, Checkpoint Charlie is a reminder of the former border crossing, the Cold War and the partition of Berlin. East Side Gallery – Previously the Berlin Wall, the East Side Gallery is now the longest open-air gallery in the world. New Synagogue – One of Berlin’s most beautiful buildings and a memorial important to Jewish life. Reichstag – As one of the city’s most significant historical buildings, Reichstag is the Parliament and mirror of German history. We couldn’t write a post about the best European cities to visit in summer without giving Paris some of the limelight! 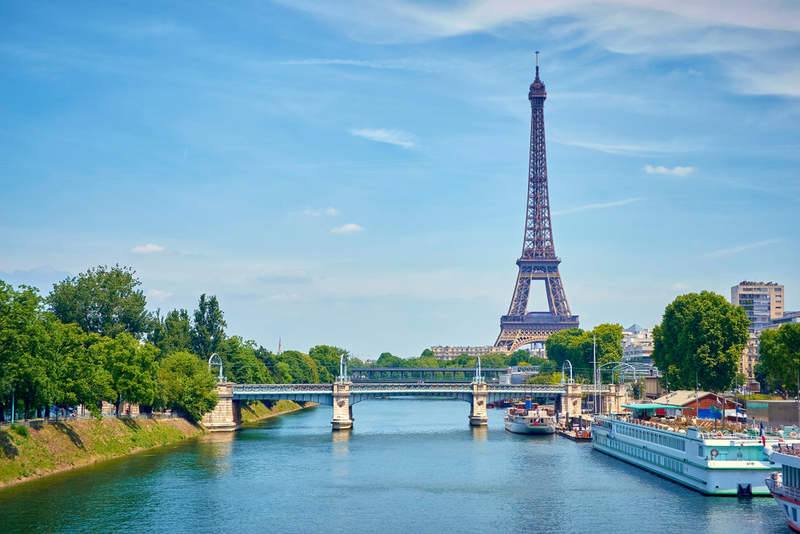 This city is home to many great sights – from the iconic Eiffel Tower to the Arc de Triomphe, to the Sacre-Coeur, there’s always something to do here. With such a great vibe running through the city, there are many beautiful areas to visit, not forgetting the abundance of museums and art galleries to peruse. To really get the most out of this city, you may have to accept that it may cost you a little more than other locations. Because who doesn’t want to gorge on wine, cheese, and pastries? That said, it is possible to save money on things such as travel costs (they say you see more of a place on-foot!) and avoiding eating out every day. The hostels in Paris do tend to cost more than other cities in Europe – coming in at around £20-£35 per night, but is entirely worth a visit, even if you only stay for a few nights. Stick to Sundays: museums and galleries are often open for the public for free on Sundays! Buy your metro tickets in bulk, not one at a time: plan your trip carefully and ensure you save yourself money on travel costs. Take a picnic to the Eiffel Tower: if you don’t want to pay to go to the top of the tower, just sit and admire! With its idyllic canals winding through the city’s streets, every new turn in Amsterdam presents a new photo opportunity for Instagram! One of the best European cities to visit in summer, there’s plenty to see and do – from art galleries to canal boat trips, museums to their more ‘interesting’ exhibitions, there’s certainly plenty to do here. If you’re planning to visit Amsterdam on your year abroad, we’d highly recommend purchasing the I Amsterdam city card – it gives you access to discounted (and sometimes free) attractions, restaurants, and public transport. 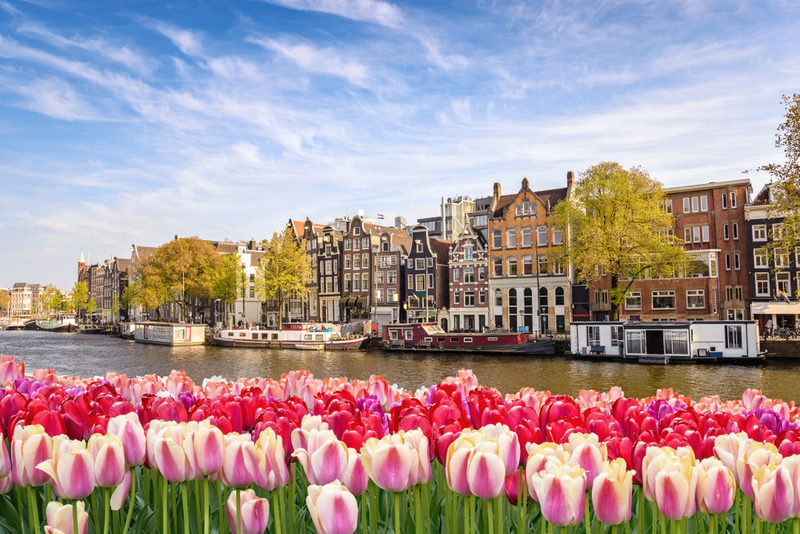 Having an I Amsterdam card also means you can skip the hassle of buying tickets at the city’s major attractions (the queues can get really quite long, especially at the Anne Frank house and the Van Gogh museum!) Also included in the I Amsterdam card is a free canal cruise! This is well worth doing if you want to learn more about the history of the city. You can buy different versions of the I Amsterdam card – from a 24-hour card to a 120-hour card, depending on how long your stay is. A’dam lookout: get panoramic views of the city at the top of the A’dam tower, while enjoying a cocktail or two! For the daredevils out there, the ‘Over the Edge’ swing is Europe’s highest swing, where you literally dangle over the edge of the sky deck! Make sure you book tickets online as you will save some extra pennies this way. Anne Frank house: Discover the story of Anne Frank as you walk through the house she was hiding in during the war. Although emotional, this is definitely worth a visit. Delft: Just a short train journey away from Amsterdam is Delft. Away from the hustle and bustle of the main city, this beautiful town is absolutely stunning and full of history! Wander down the streets, along the canals, and around the churches before sitting outside in the courtyard lit by twinkling fairy lights. Aside from the I Amsterdam card, there are other ways you can save money when visiting this city. As travel is so reasonable, we’d recommend staying outside of the city itself, where the hotels and hostels are often cheaper. Take a packed lunch – instead of eating out for all meals, why not make your own? There are plenty of benches overlooking canals where you can sit and eat! These are just a few of the many amazing cities you could visit on your year abroad. Of course, to really make the most of your travels, it’s going to be hugely beneficial to ensure you have enough spending money while you’re out there. So, in preparation, you could take part in one of our paid market research studies. From online focus groups to at-home interviews, user testing to accompanied shops, there are lots of different ways for you to get involved. Interested? Just click here to sign up.